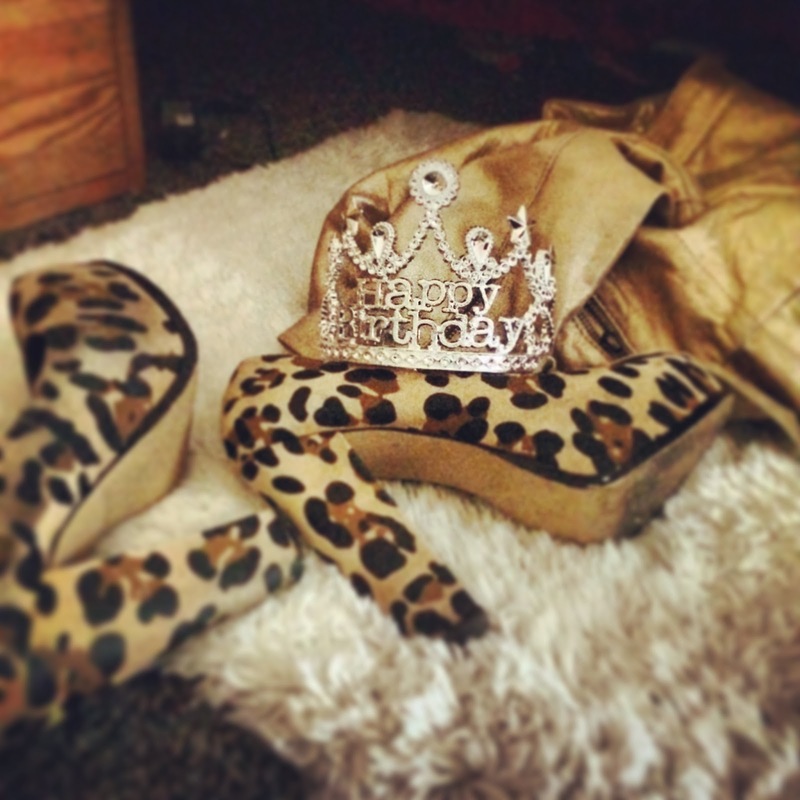 It feels like it took forever, but the wait is over… I’m finally 21! Before I went to work, I went to my weekly class, “La Garçonne to Grunge: Fashion and Identity in the 20th Century,” in the morning. I had missed two sessions already, so I was looking forward to attending the class again. Yes, I did end up working on my 21st birthday, but I didn’t mind because it was during the day. 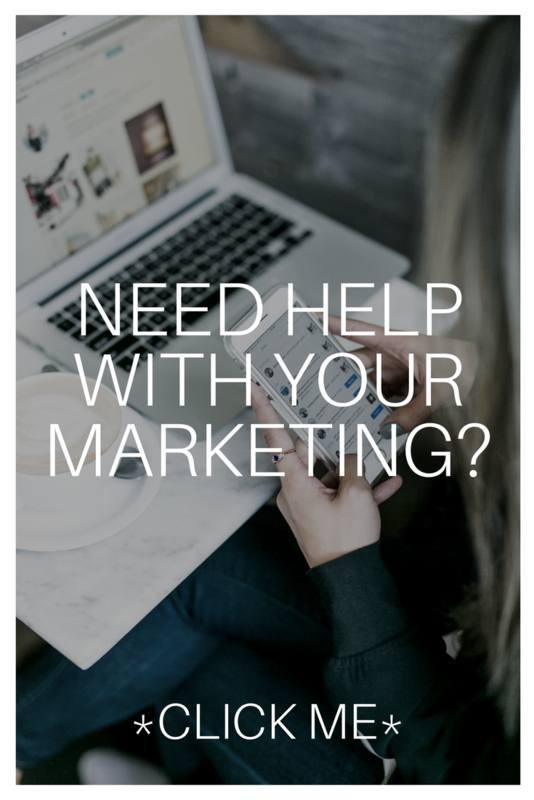 It ended up working out well, because the store was crazy busy for Newport Restaurant Week and the Pell Bridge Run. 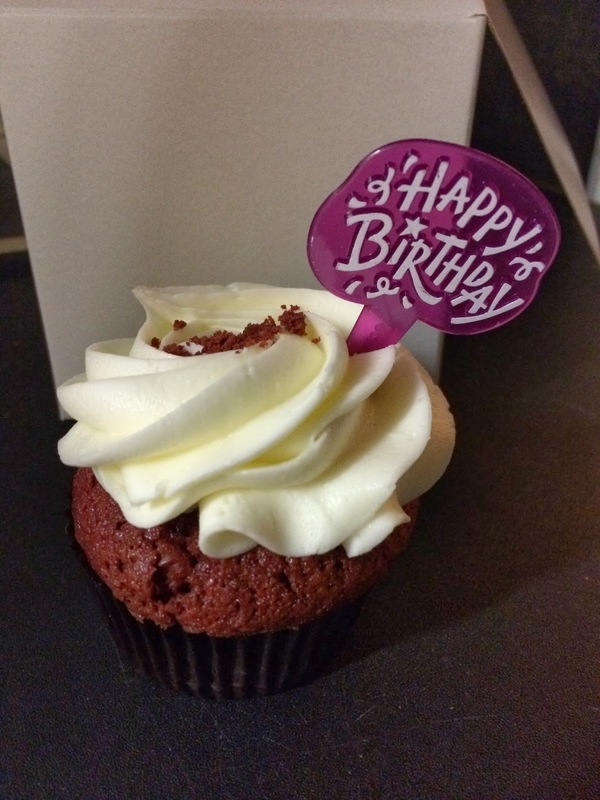 Once foot traffic slowed down, I got to enjoy a wonderful birthday surprise from Laura, Erika, and the rest of the staff: a red velvet cupcake from The Newport Sweet Shoppe! I guess The Newport Sweet Shoppe and I share the same birthday–the bakery celebrated their second year! Et voila! 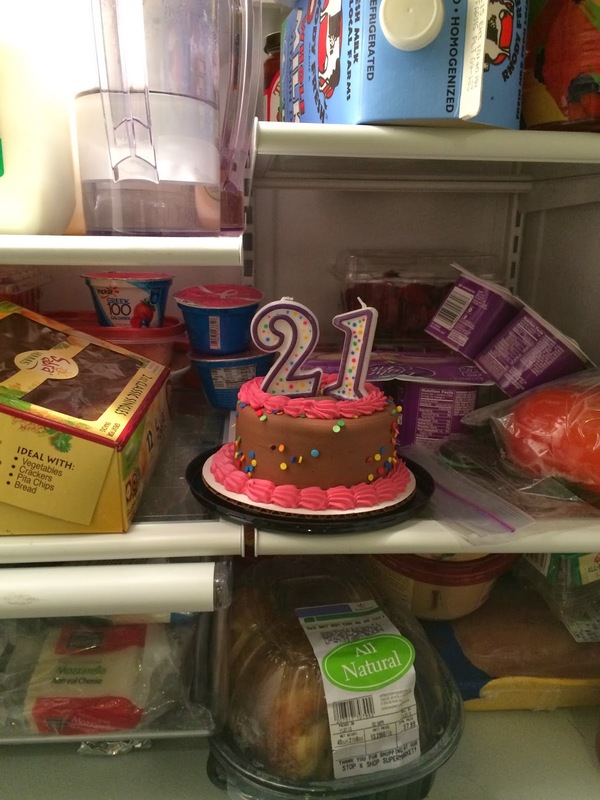 To clarify, my housemates surprised me with the birthday cake, not the all-natural rotisserie chicken. I made myself Annie’s macaroni and cheese for dinner and got ready to go out to the bars with friends for the night. Sam and Alexandra gave me a tiara to wear for the night, because when else is acceptable to wear a tiara in public? I worked again on Sunday, but Ryan came to Newport and took me out to dinner at Speakeasy Bar & Grill on Thames Street. 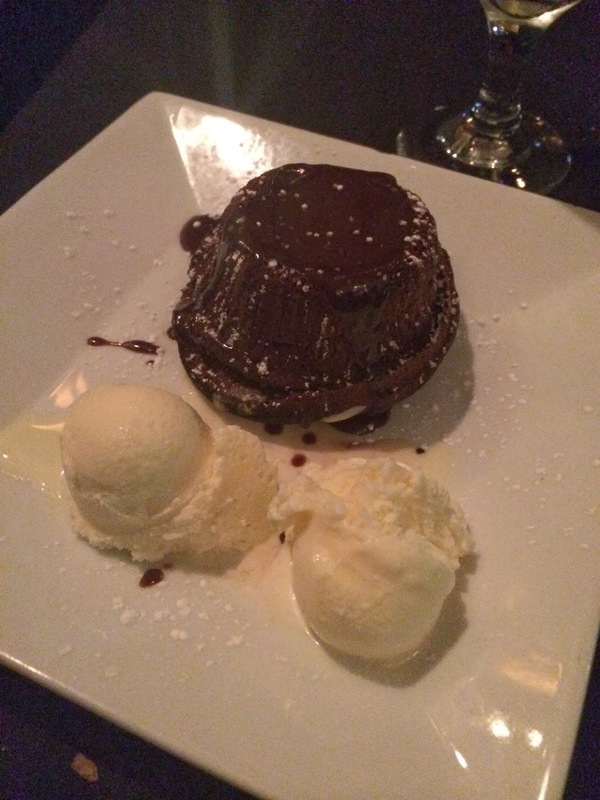 It was also the last night of Newport Restaurant Week, so we took advantage of the $30 prix-fixe. 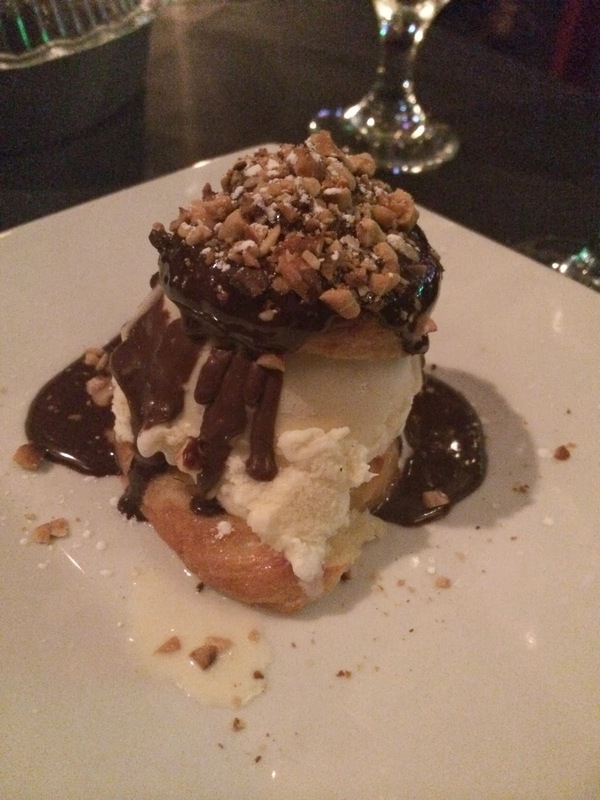 Speakeasy had the most selection to choose from for their Newport Restaurant Week menu–you were allowed to pick any three courses on their dinner menu instead of having to choose from a limited handful of options. 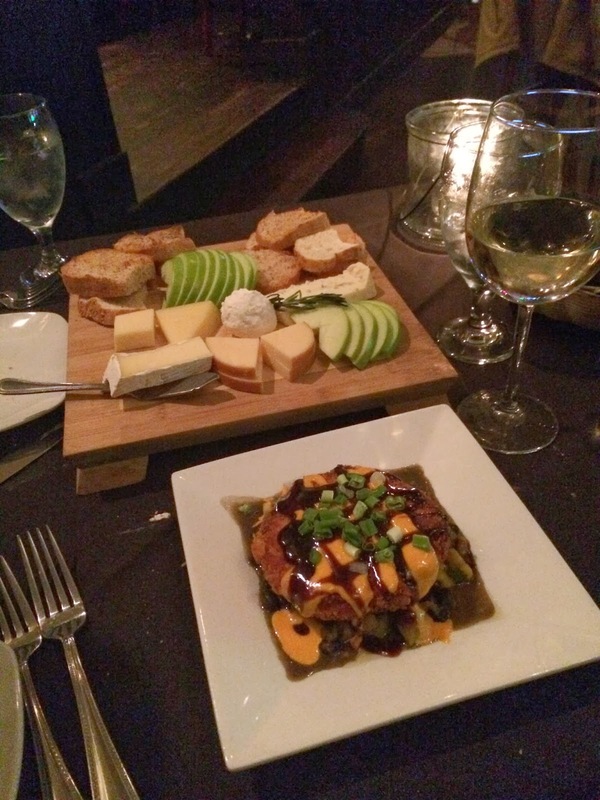 I could go on about how amazing dinner was for hours: everything was fresh and delicious. 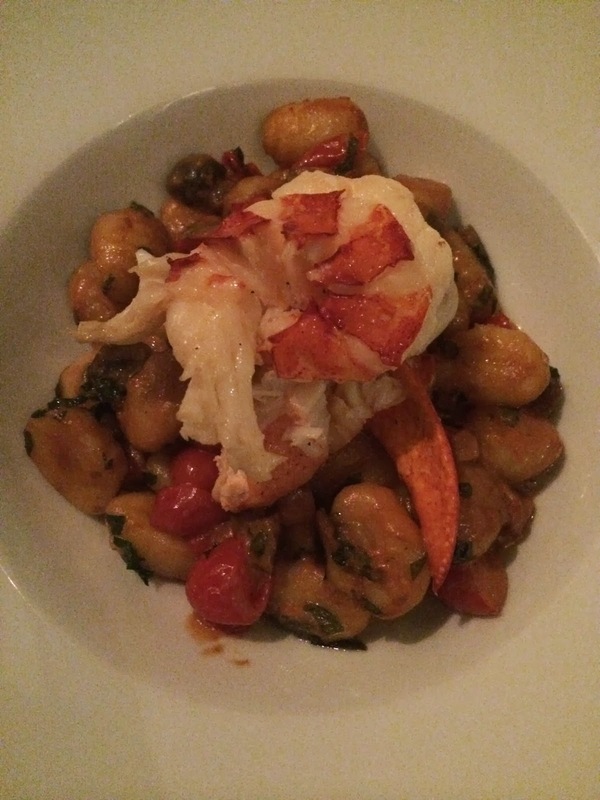 I definitely plan on getting the lobster gnocchi again soon. I think it’s safe to say that 21 was a great success. 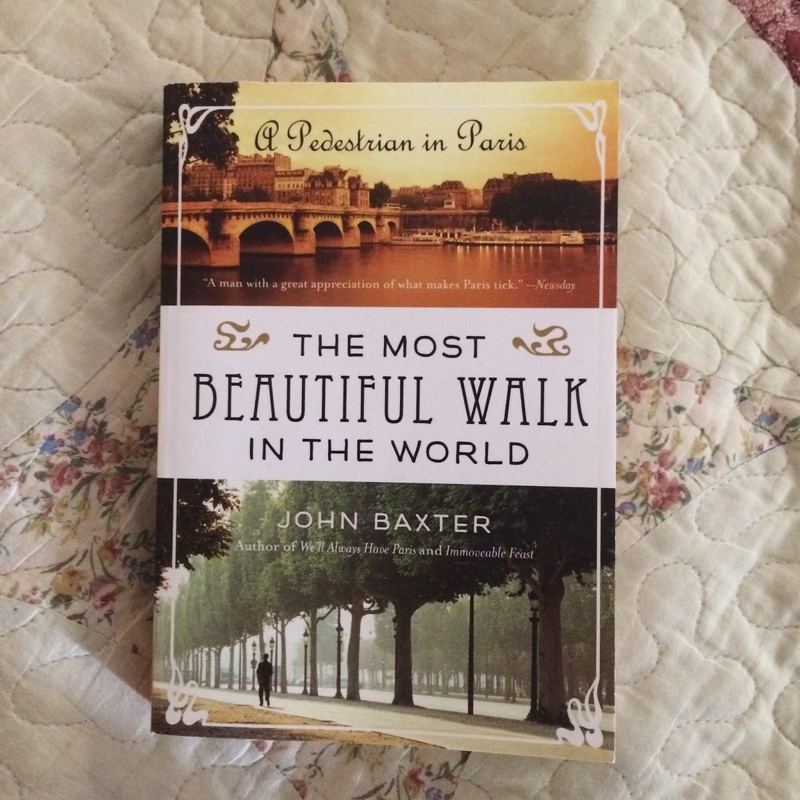 From Lauren–I hope I find the time to read this before I go to Paris in January! 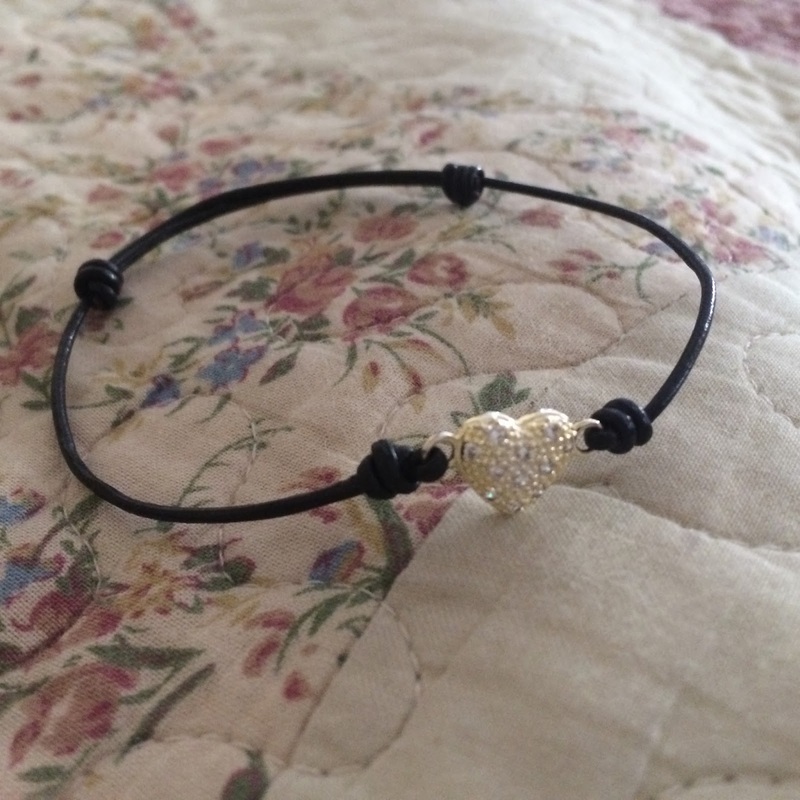 From Sam and Alexandra–I’m wearing it now! 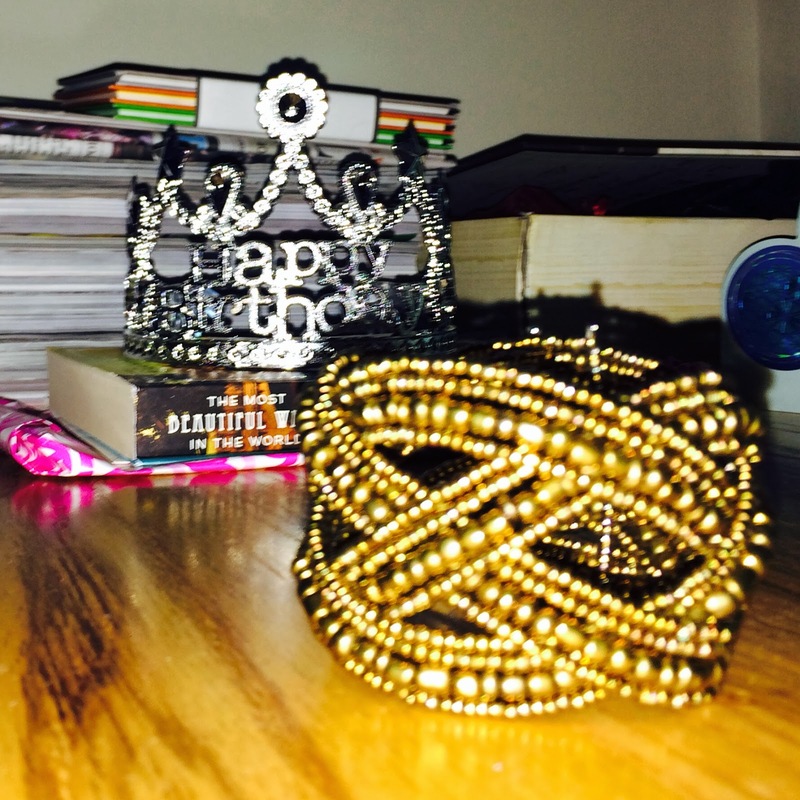 From Stephen–This cuff goes with everything that I wear, love it! A big thank-you to everyone for the birthday wishes!